Eirann Betka is the guest in the Season 1 finale of “The Grand Cast”. Part 2 of 2. 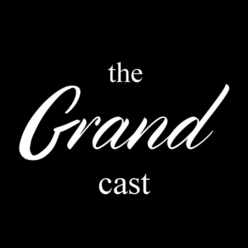 Tyler Jandernoa is the guest in this week’s episode of “The Grand Cast”. Part 2 of 2. wsg Bobby Phillips. Dom Damron is the guest in this week’s episode of “The Grand Cast”. Part 1 of 2. Part 2 is here. Dom Damron is the guest in this week’s episode of “The Grand Cast”. Part 2 of 2. Andy Cach is the guest in this week’s episode of “The Grand Cast”. Part 1 of 2. Part 2 is here. Andy Cach is the guest in this week’s episode of “The Grand Cast”. Part 2 of 2. Kristin Hirsch is the guest in this week’s episode of “The Grand Cast”. Part 2 of 2.